When Marvel announced that the re-revived Ben Reilly would be getting his own series once more as the Scarlet Spider, the company also revealed that Ben would get a brand new suit to swing around in. It... was a bit off. Its creepy little smile defying all sense of comic book spandex weirded us the hell out. But it won’t be around for long. 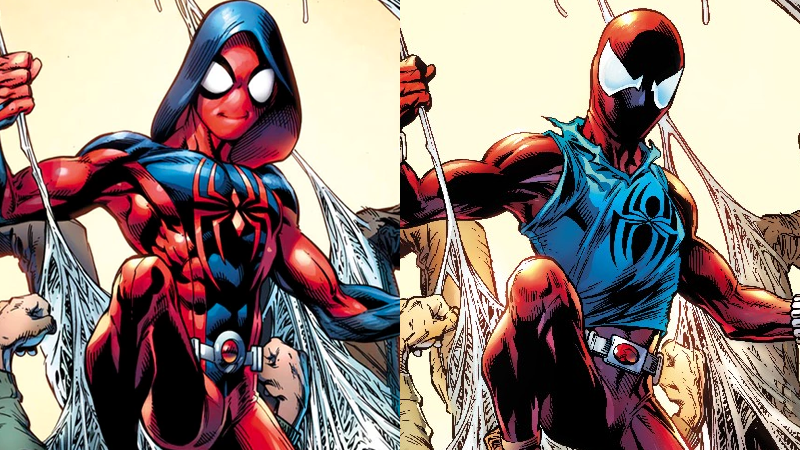 Bizarrely, Marvel has confirmed to Newsarama that once the first arc of Peter David and Mark Bagley’s Scarlet Spider series is over, Ben will ditch his new threads—wherever he gets them from—and return to his classic blue hoodie look from the ‘90s. To celebrate, Bagley even re-drew the cover to the first issue, this time with Ben in his old gear. This is so weird. Was the reaction to the new suit that bad? Was it always intended? I mean, if you’re gonna go through the rigmarole of reviving Ben Reilly again, then you might as well play on the nostalgia even more and give him is old look back too, right? But then why bother with the new suit in the first place? And, I still ask, what the wallopin websnappers was up with that mouth? Ben Reilly: The Scarlet Spider #1 hits shelves April 26.